The WCF Service Library project template creates an application configuration file named App.config which needed to be modified to reflect the Service class and interface names. Class names should include the namespace as well. 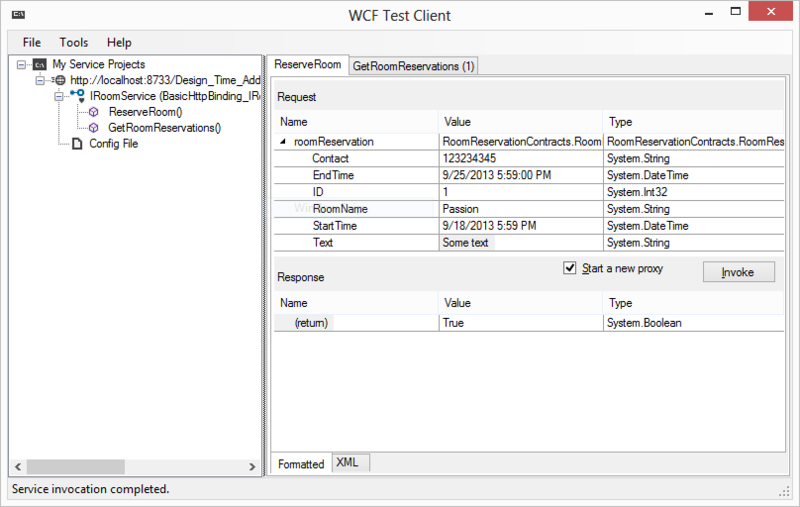 “/client:”WcfTestClient.exe” command argument has added to Start Options which will run the WCF Test Client application. In the WCF Options tab you can remove the checkbox where starts the WCF Host when a project starts. 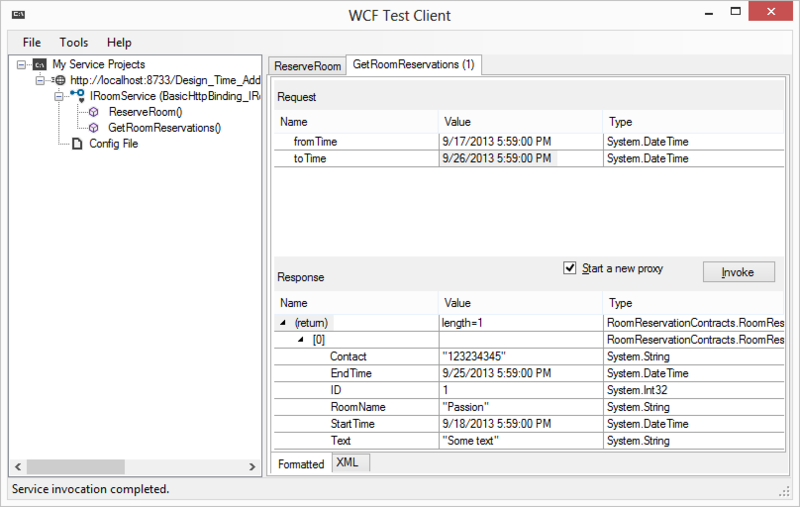 The WCF Test client can be used to test the service. Take note that the RoomReservation database is created in the SQL Server.